When you are planting lilies and you know exactly where you will use them it is good time to choose color of these plants. Lily bulbs can be found in various color schemes. 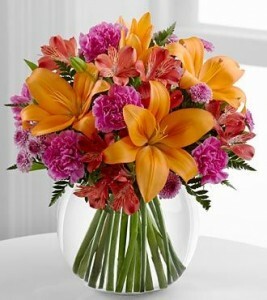 Asiatic lilies are often use to decorate houses, restaurants, weddings and other events. Before you even think about planting a lily you should consider which bulb will be the best choice for your ocassion. Beside color you will be also interesting in size and shape. Speaking a little bit more about sizes we should notice that first two sizes (baby and micro) are used in small spaces, for example: inside block apartments or modest houses. Medium size lily is frequently come across in garden and smaller park, this volume is natural size of lily and probaby the most beautiful. The most popular colors are yellow, red, white, purple, so I uploaded few photos of different color schemes, but these aren’t only options. Asiatic lilies can be also found in green, orange or black ( very rare ).